The National Museum of Singapore is the oldest of the country’s four national museums. First established as the Raffles Library and Museum, it was set up in 1849 as part of the library of the Singapore Institution, later renamed the Raffles Institution. 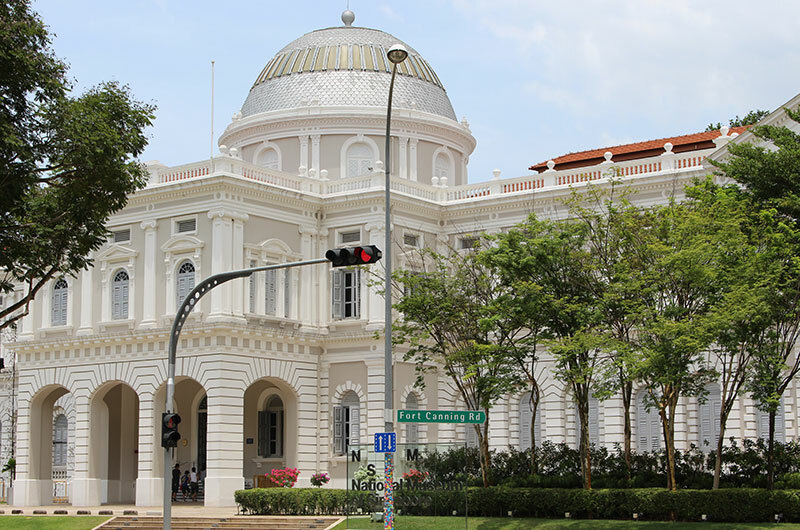 After several moves to the Town Hall (now known as the Victoria Theatre and Concert Hall), and back to a new wing of the Singapore Institution, the Raffles Library and Museum finally settled in a new building at Stamford Road. The museum officially opened its doors in 1887. Following Singapore’s independence in 1965, the museum focused on showcasing Singapore’s history and nation building efforts. The building was gazetted as a national monument in 1992. It houses two sculptures commissioned from 1995 Cultural Medallion recipient Han Sai Por. 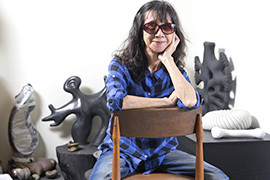 A prolific sculptor, she has held numerous solo and group exhibitions. Some of her more than 20 public sculptures are on display as far afield as the Portland Sculpture Park in England, the US, Malaysia, Japan and China. 20 Tonnes (2002) stands right at the front of the museum. This imposing structure was sculpted from a single piece of granite. Her other structure, Seeds (2006) was formed with rocks from the nearby Fort Canning Hill.